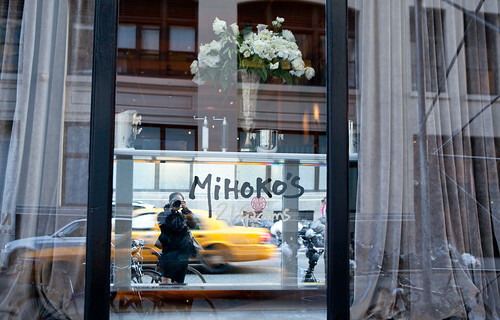 I recently ate at Mihoko 21 Grams last week for an event. This restaurant is founded by a former Japanese ballerina, Mihoko. She collected most of the items from her travels and used them to decorate and/or be sold at this restaurant such as these rare, utilitarian teapots I photograped. 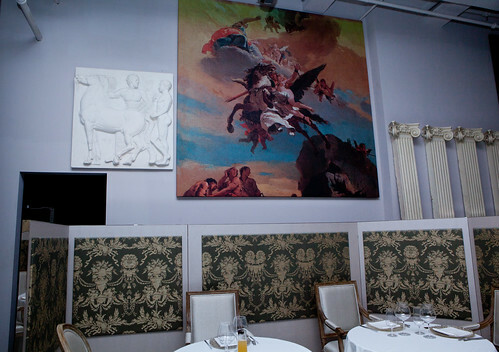 The dining room space is gorgeous, it feels and looks like I’m eating at a Baroque dining room. It’s opulent but it’s not overdone. The name of this restaurant is refers to the purported weight of a human soul as determined in a dubious experiment about a century ago by a doctor in Massachusetts. 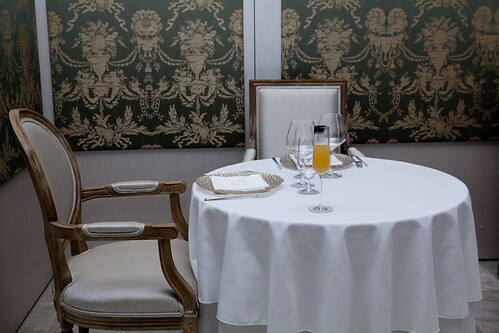 When you read the menu, it is French and Japanese inspired. There is a sushi bar toward the back of the restaurant and the cooked portion of the menu has both elements of each cuisine. It’s mostly French dishes but it is with a lighter treatment like Japanese food tend to be. 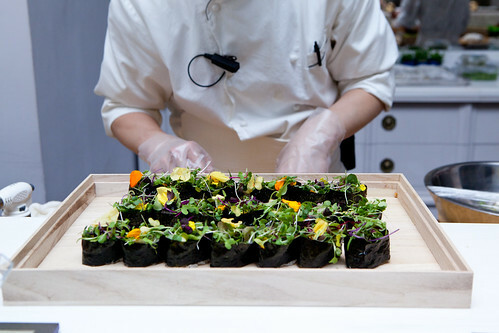 There were various maki sushi served – the Earth, Flower vegetarian rolls that were quite magnificent and flavorful from the yuzu spray that I’ve observe the sushi chef spritzed on prior to serving it out. 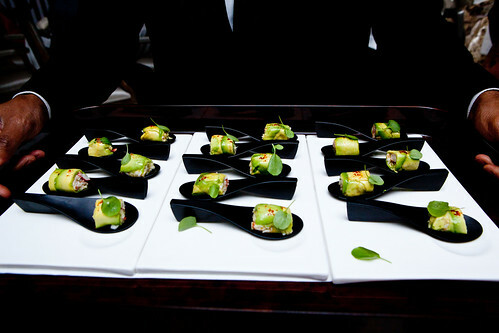 The others were shrimp ceviche with a touch of uni, cilantro, and avocado that was creamy and bright; the asparagus and black truffle roll was lightly crisp with a hint of musky truffle; sautéed mushrooms, lime, and chive were good. 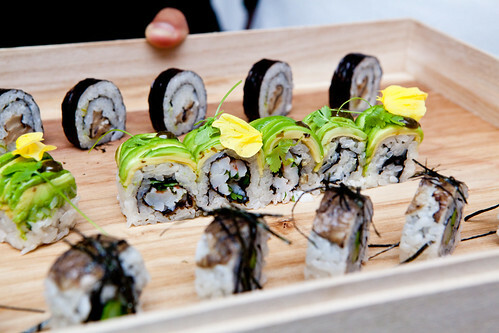 The sushi rice was cooked well and the balance of flavors and textures worked for each maki. The Alaskan King Crab Croustillant flavored with citrus, espelette, avocado, and green apple were wonderful bites of creamy, sweet and tart. There were skewers of succulent Waguy beef and eggplant that were effortless chewing since they were insanely tender and the sauce was sublime. 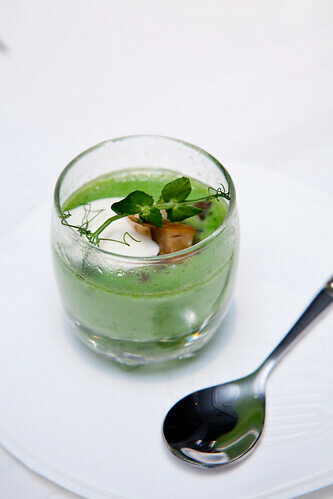 Possibly one of my favorite items I’ve eaten that night was their chawan mushi made of crème fraiche, snap peas, and porcini. 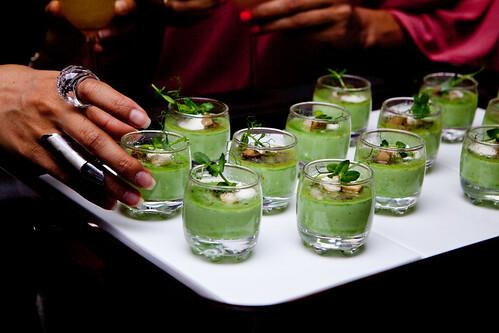 Each glass contained served very warm, rich intensely pea custard topped with cool, slightly tart crème fraiche and musky porcini mushrooms. It’s divine. 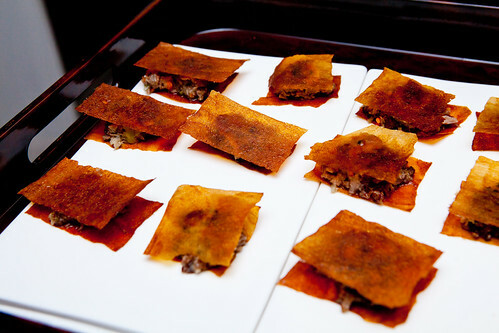 There were servings of Long Island duck à l’orange sandwiched in potato feuillantine. 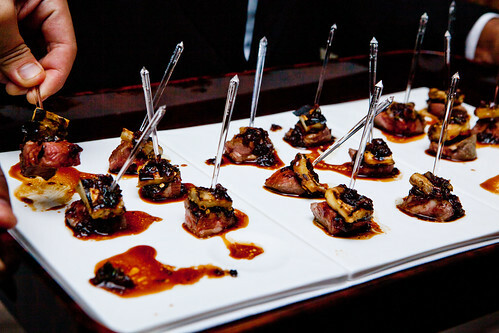 Not exactly finger food since the crisp feuillantine absorbed the juices of the flavorful duck but it’s tasty. 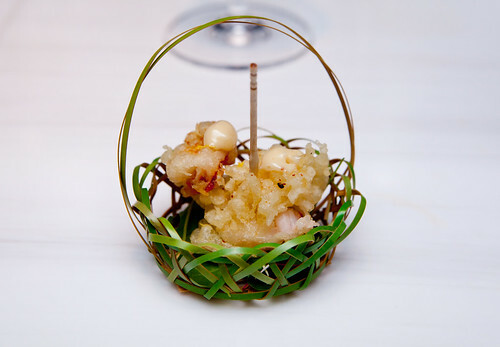 The remainder of items served that night was the Maine lobster tempura set in an adorable basket. Besides the cute factor, the lobster was perfectly moist and crispy. 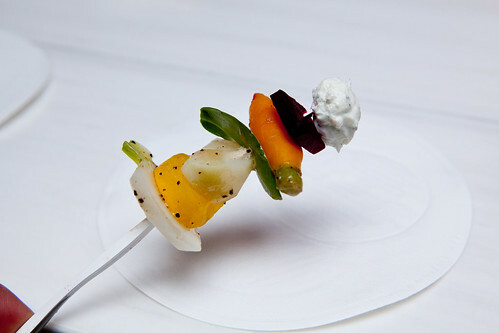 Skewers of Mihoko’s Garden which consisted of raw carrots, turnips, sweet squash, topped with black truffled cheese was refreshing. 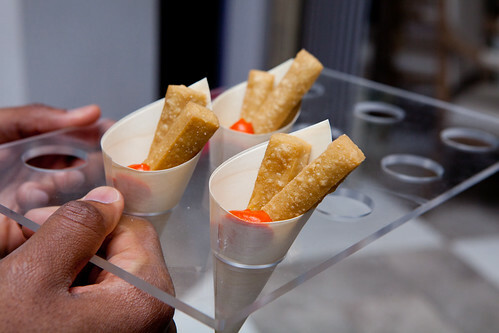 The cones of chickpea panisse were a lighter and more flavorful version of the standard thick-cut potato french fry. The restaurant’s beverage/cocktail menu has a pretty strong program, at least when I tried it that evening. 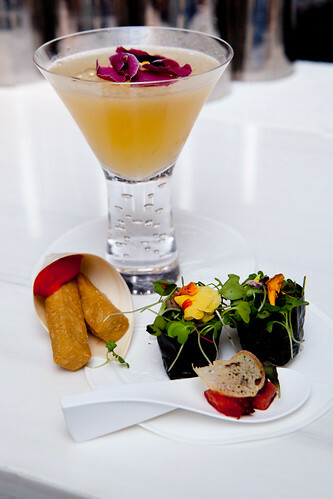 The cocktails were creative and have a Japanese accent to the majority of what was their featured cocktails. 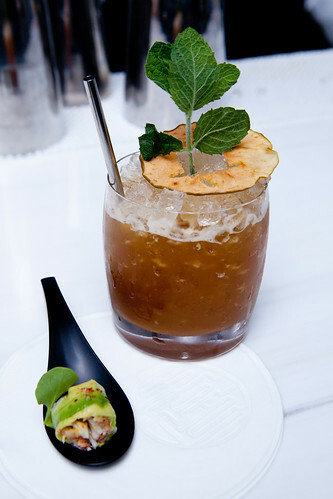 Of the four varieties they served, my favorite was the ginger variation of the Pimm’s Cup. Not too sweet balanced and it had a pleasant kick of heat from the ginger. They do make their in-house ginger beer that was refreshing and fantastic. The dragon jasmine pearl tea, yuzu with gin cocktail was pretty and not overwhelmingly floral from the jasmine tea and gin. 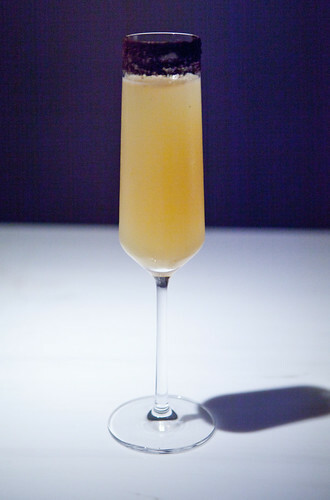 The Champagne cocktail with plum wine, yuzu and rimmed with black sea salt was intriguing to have the sweet and salty in a bubbly drink. This would be a great spot to have a creative drink after work or have a romantic date. 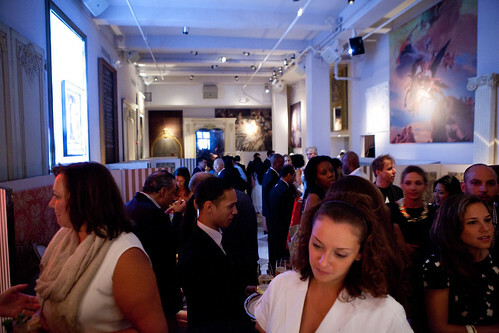 The space is beautiful but not too feminine. 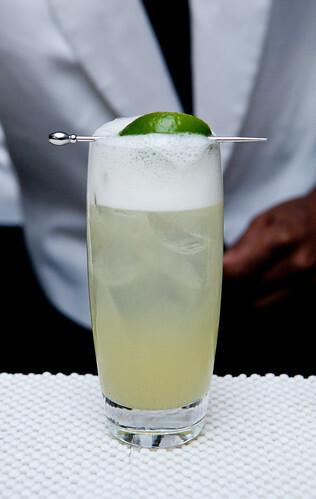 The servers and staff were professional and friendly. 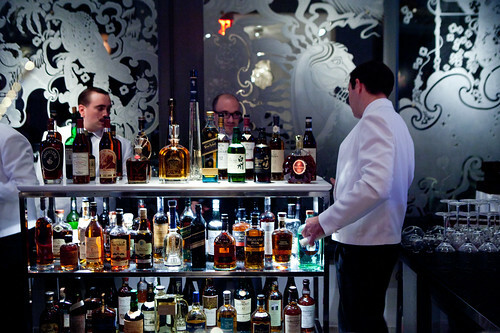 The bartenders were great to talk to about drinks and the food was tasty. I’m planning on coming back soon.